Petronas Twin Towers at night. 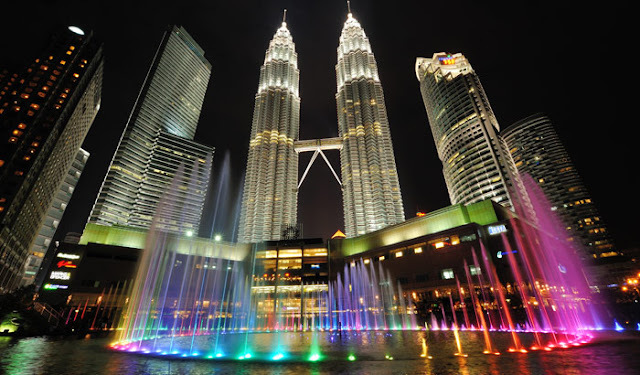 Petronas Twin Towers is the most popular landmark in Kuala Lumpur as it can be seen from a distance of tens of kilometers outside Kuala Lumpur. It was the world's tallest building in the world from 1998 to 2004, but it still retains the title of tallest twin towers in the world to this day. * List of tallest buildings in the world. 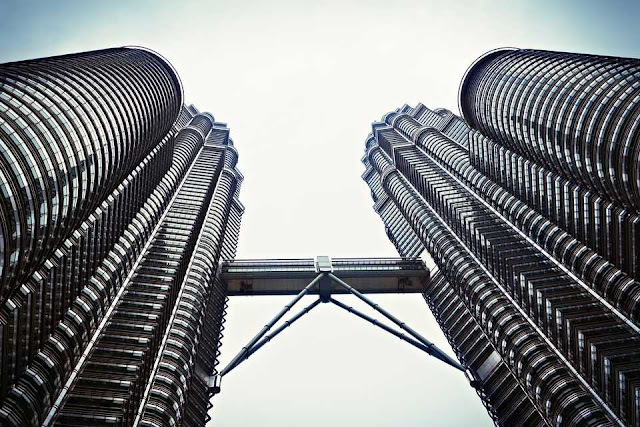 The towers were designed by Argentine architect, Cesar Pelli. The resulting design is adapted to the architecture that reflects the characteristics and cultures of Kuala Lumpur City. Apart from the twin towers, Cesar Pelli also designed several other buildings in the world, including Key Tower, Cleveland; Cira Centre, Philadelphia; 30 Hudson Street, Jersey City; 1 Canada Square, London; Riverview Plaza, Wuhan; Wells Fargo Center (Minneapolis), Minneapolis. 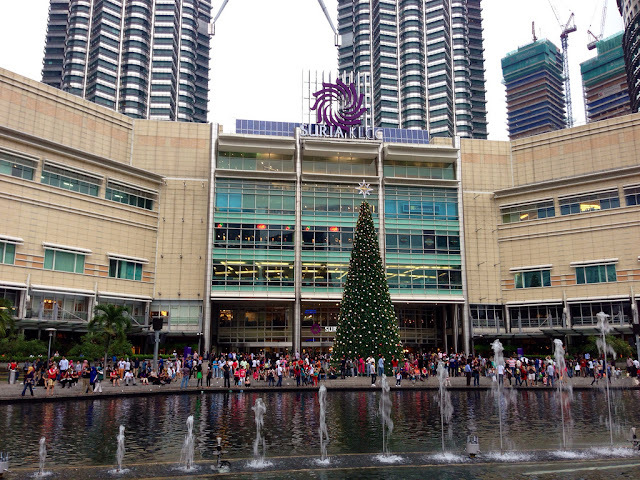 The area surround the Petronas Twin Towers. Work on the building commenced on 1 April 1994 and completed on 1 March 1996. It, however, was officially opened by the Fourth Prime Minister of Malaysia, Tun Dr. Mahathir bin Mohamad on 1 August 1999. 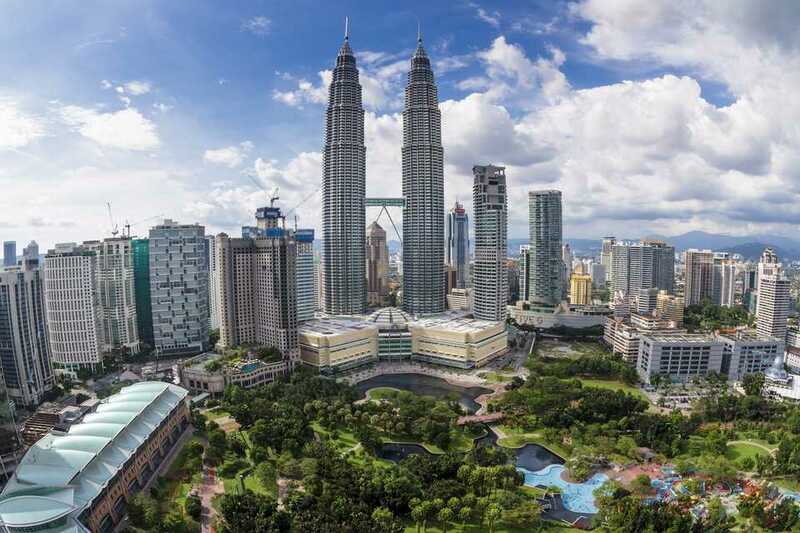 The building that houses Suria KLCC shopping complex also houses offices space for Petronas and other major companies such as Huawei Technologies, Boeing, Bloomberg, Al Jazeera English, HCL Technologies, IBM, Microsoft, Reuters, Carigali Hess, Khazanah Nasional Berhad and others. 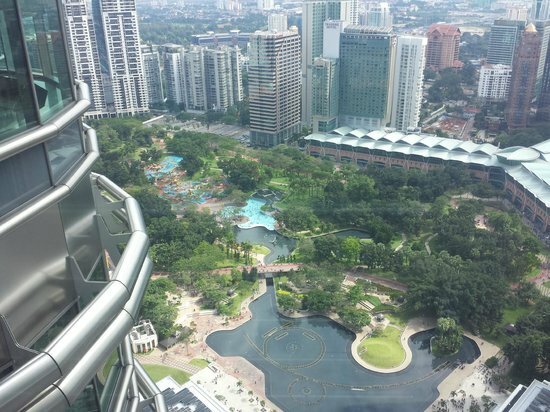 Adjacent to the building there is a 17 acres park, the KLCC Park which allows visitors to enjoy a refreshing atmosphere. It is equipped with a pool of water, walkways and a children's playground. You may also be able to watch the interesting show of illuminated water fountains at certain times each night. 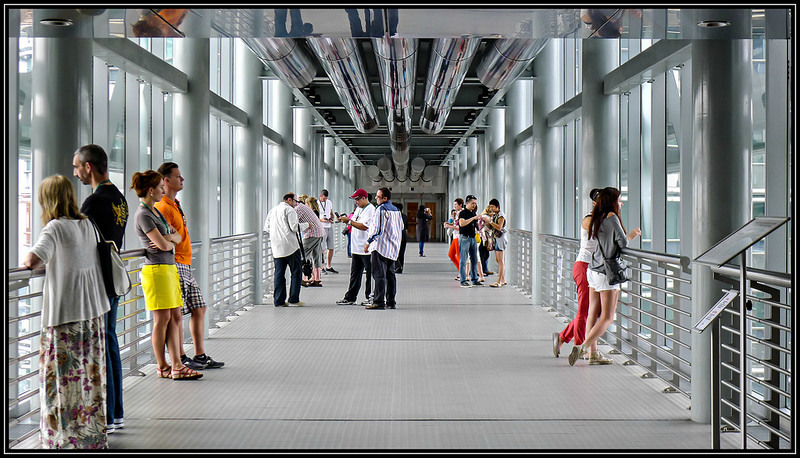 Skybridge is located on floors 41 and 42. Other interesting thing is to cross the Skybridge located on floors 41 and 42 at an altitude of 170 m (558 ft). The bridge has a length of 58 m (190 ft) long and weighs 750 tons. Only 1,000 tickets will be distributed on a daily basis once it is free, however starting in 2010 tickets are being charged on certain prices. Tickets are available from ticket counters at the level of the tower concourse. For tourists, you can make a reservation online from this link. 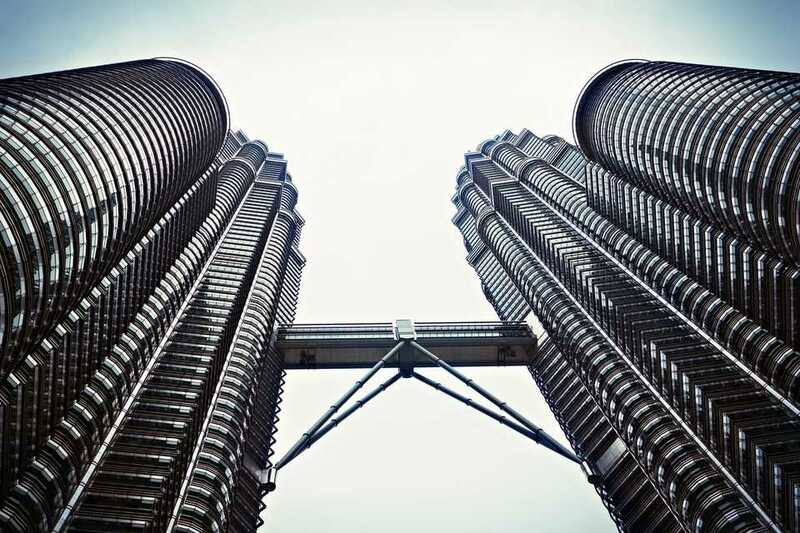 Although the Petronas Twin Towers is no longer the tallest building in the world, but it is still the tallest twin towers in the world. Besides, the unique characteristics that gives the tower unique displays of Malaysian culture. It is a landmark of Kuala Lumpur City you should not miss.